More than 55 million m2 in Dalux BIM Viewer. The only viewer to handle large and complex models on site. More than 8,500 projects around the world are using our viewer. See your model and drawings combined. Intuitive interface makes manuals obsolete. Support many formats, including IFC and BCF. Upload models from several disciplines and see them combined in our viewer – on the phone or on the computer. Filter on disciplines, objects, etc., to get the view you want. Dalux supports open BIM. Upload your IFC files to our BIM motor. Or use our Revit plugin to add your model files directly from Revit. In addition, you can have both IFC and revit in the same model. Have your drawings on your phone, and ensure you always have the latest versions with you. See your 2D drawings together with the model. If you don’t have a BIM/3D-model, use our viewer for all your PDF-drawings. 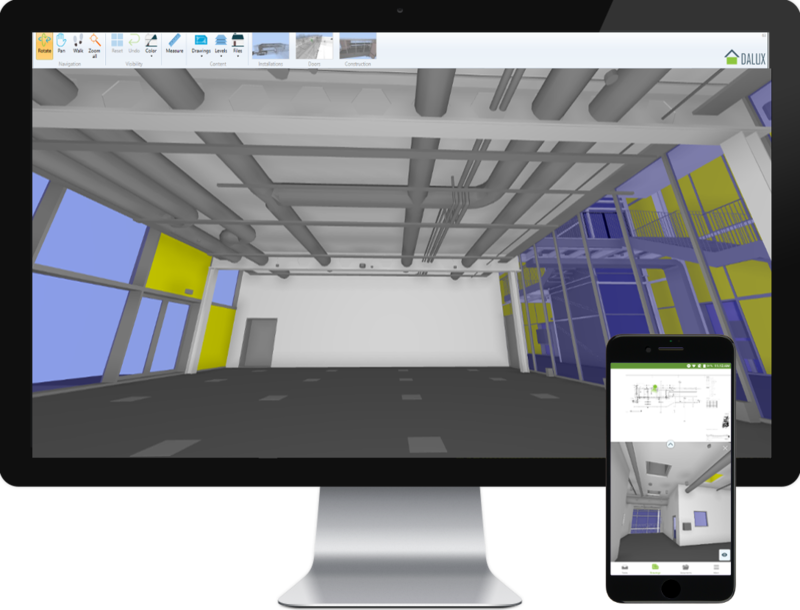 Even if you’ve never worked with BIM or in a 3D-model, it is easy to interact with the model in the Dalux BIM Viewer. 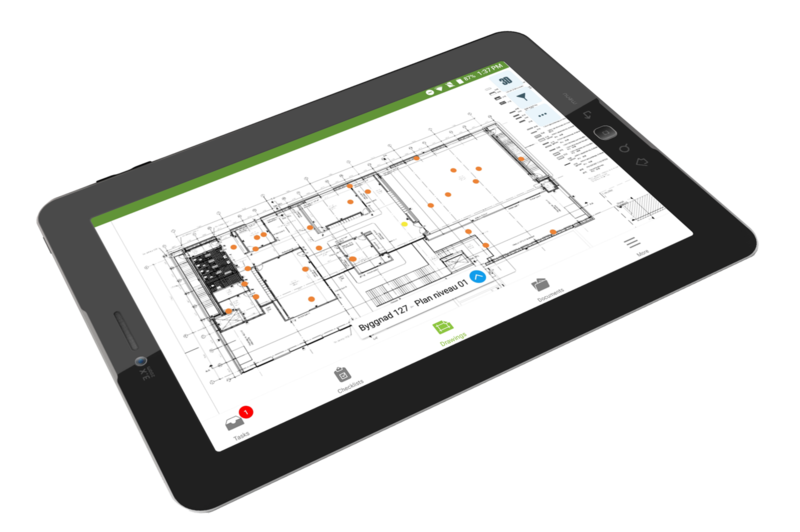 Make cuts, take measures and see the BIM properties – on the computer or in our app. Their BIM model includes 50 IFC files and over 1 million BIM objects. Contractors, consultants and the owner can access the model on site through Dalux and our BIM Viewer.